Starting out in Battlerite? Here's Lewis' best advice. With Battlerite having launched today, I wanted to pull a list of eight tips together that I thought might help new players. This list isn’t exhaustive, and Battlerite is a complex game that’s highly rewarding. Hopefully these tips will put you on the right path. Battlerite is a challenging game. With abilities to manage, an Orb to destroy, Energy to keep your eye on, all while hurling basic attacks and moving around the arena; it can take some getting used to. Combined with the fact the game is fast, you’ll die. A lot. While it might be frustrating to not instantly clean up against the opposition, part of Battlerite’s learning curve is managing your health, abilities and understanding your enemy. This only comes with time, and plenty of deaths. Learning from your mistakes and improving on your awareness is key to improving. Despite a limited action set, Battlerite’s Champions have a lot of abilities. If you then add on EX abilities (they’re extra skills you gain access to through Energy, by holding Shift), it can be difficult to manage. There’s no denying EX abilities are important, and undoubtedly valuable, but learning when to use them - on top of everything else - isn’t ideal for new players. Getting to grips with the very basics, alongside your core abilities, will carry you fairly far. Once you’ve some time under your belt, you’ll then be able to blend in the use of EX abilities. I’m not suggesting all players struggle to handle these additional abilities, but many friends of mine certainly did. Fundamentally, all Champions can win and perform well without them: EX abilities simply offer greater utility for specific circumstances. 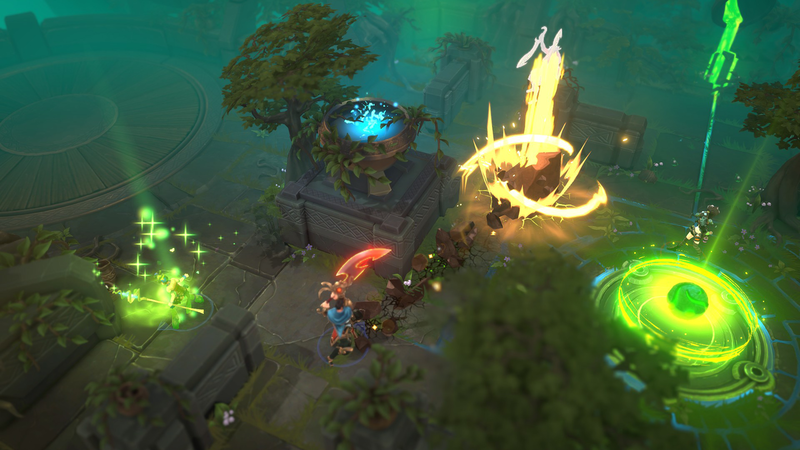 The central Orb which spawns, officially known as the Energy Rune, is often key to succeeding in Battlerite. Once killed, it provides instant health (+10 real and +10 recovery) and 25 energy. While it might not sound a huge bonus to you or your team, the instant health and energy not only allows you to sustain yourself, but also ensures you gain regular access to use your energy based abilities. Teams that reliably control the Central Orb, unless they’re playing incredibly badly, will always have an advantage over one that ignores it. One of the biggest mistakes I see new players make is to ignore their team, dive straight into the enemy, before dying. As tempting as it is to chase the enemy in the hopes of snagging a kill or softening them up, it places your team at a huge disadvantage. 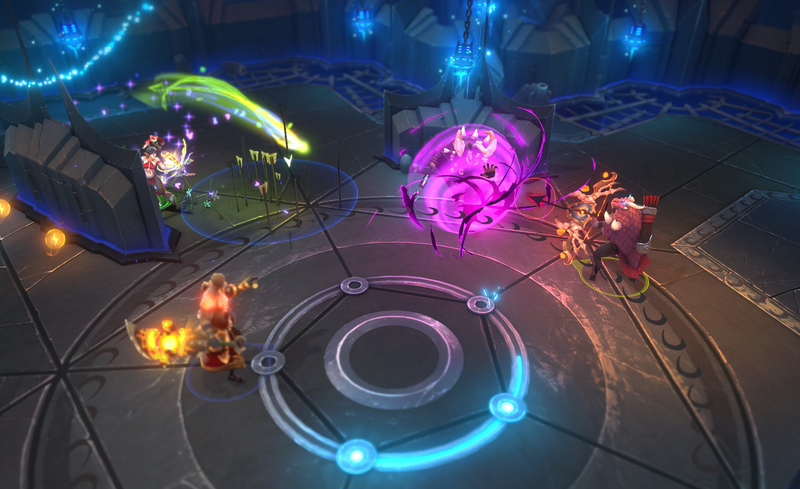 While you’re suffering from tunnel vision, the enemy is likely piling on your own team, controlling the orb or picking up health Orbs from the arena floor. Always try to stay within eyesight of your team, try to always peel for your Support (if you have one) and try to always focus the same target. As tempting as it is to dive straight into competitive Battlerite (or League, as it’s known), I’d honestly advise against it. Not only will you be a liability to your team-mate, but there’s also every chance you’ll screw up your Placement matches. I’m not suggesting you won’t win some, and if you’re happy to yo-yo when attempting to climb, by all means dive in. However, a Battlerite season lasts a fair amount of time so it’s well worth practicing in Casual queue on a variety of Champions. There’s no need to rush to competitive. Each Champion in Battlerite has a very unique kit and all play very differently. With Support Champions more than capable of dealing high damage, or some Ranged offering utility (such as Iva) there’s a lot of variety on offer. It’s a good idea to try all Champions not just to get a feel for which you really like to play, but to also better understand their kits when you’re against them. If you haven’t bought the All Champions pack (It’s incredible value!) and are free to play only, hit the Practice arenas. You gain access to all Champions and you can turn on infinite Energy and Cooldowns, allowing you to seriously test your kit and EX abilities. 2 versus 2 is fantastic for a pair of friends to team up and play together. It also offers a much slower, more controlled version of the game. While I remain a big fan of 2 versus 2, it lacks the balance of 3 versus 3. Fundamentally, some compositions are inherently unfair in 2’s, or some Champions particularly poor. In contrast, 3’s tends to be a level playing field for all Champions and allows for far more engaging fights, that are much more complex. If you spend all your time in 2’s, transitioning to 3’s will feel alien. In fact, transitioning to 3’s will make your head melt. You’ll die near instantly, you’ll not know who to attack and you’ll feel pretty stressed. In contrast, if you try to queue for 3’s as often as possible it’ll allow you to get used to the pace (and the additional Champions you’re against). Although I look after our Battlerite Tier List, I really must stress that all Champions are viable in Battlerite. While you can always argue that some are stronger than others, what makes Battlerite so fantastic is that with practice, you can win with any Champion in any composition. Personal skill really can make that much of a difference and the slightest mistakes can be punishing. If you truly want to min-max then by all means, stick to the Champions that are top-tier. If you simply want to learn one Champion and be the very best at it, by all means go right ahead: you’ll still be able to climb just as far (just perhaps not as easily). Battlerite is free to play and available now. Go and play it!